The Kanye West brand is like a Ferrari careening down a highway. Sometimes you want to watch the spectacle. Other times you want to get out of the way. And then there are times when you wish you were in the front seat. 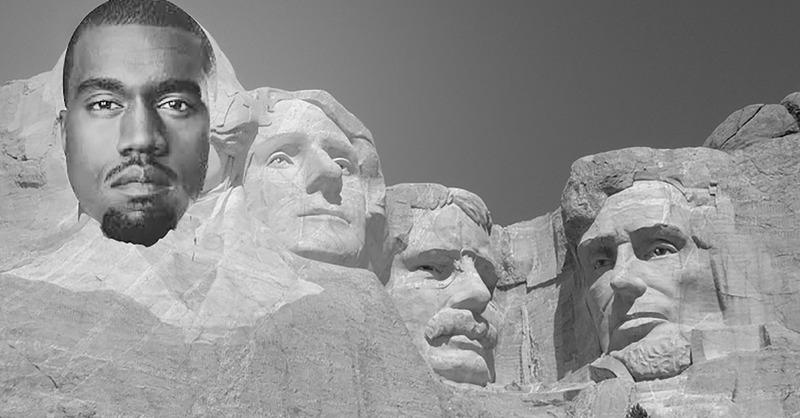 Kanye’s recent presidential election announcement makes me want to grab the steering wheel. Kanye launched his #Kanye2020 campaign August 30 during the MTV Video Music Awards, where he received the Michael Jackson Video Vanguard Award, presented by none other than Taylor Swift. Obviously, MTV engineered the moment to create fireworks and ratings. After all, Kanye and Swift were parties to one of the most awkward moments in TV history in 2009, when Kanye ungraciously dissed Smith onstage for winning a video award he believed she did not deserve. Although the two have mended fences since then, they are hardly BFFs, and Kanye West is unpredictable under any circumstance. What kind of Kanye would accept the award from Swift? A defiant Kanye? Bombastic, perhaps? Well, Kanye hijacked the moment from MTV, refusing to take the bait. Instead, he delivered a rambling but fascinating discourse on art, self-acceptance, and media manipulation that had the crowd cheering for several minutes. He admitted to making mistakes in the way he expressed himself and his passion for art (an obvious reference to the 2009 incident) but affirmed his love of art and the power of ideas, before announcing his bid for presidency. The audience was eating out of his hands, even if no one was entirely certain they understood what he was talking about. He had engineered his mic drop. 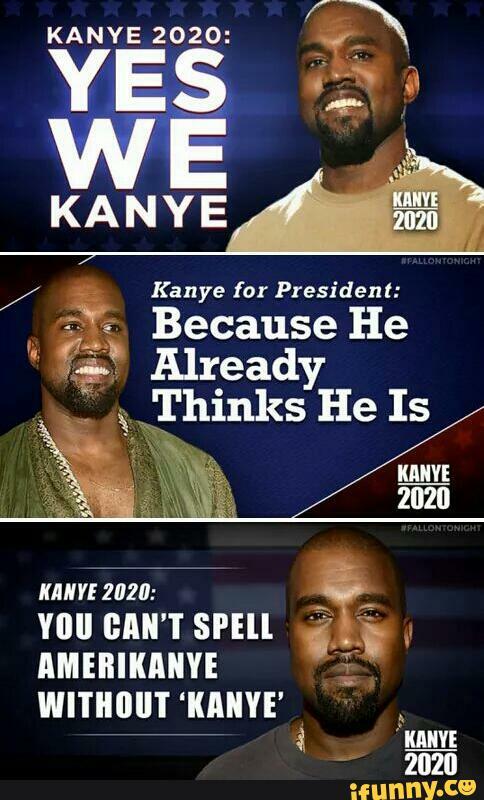 The #Kanye2020 moment, which quickly became an Internet sensation, is a brilliant work of cultural relevancy from one of the most controversial and outspoken artists alive. Not only did he outflank MTV, but by branding himself as a presidential candidate, he put front-running candidate Donald Trump in a whole new context. If Presidential Candidate Donald Trump can command center stage with outrageous remarks about immigration — with comments such as “When Mexico sends its people, they’re not sending their best. They’re sending people that have lots of problems, and they’re bringing those problems with us. They’re bringing drugs. They’re bringing crime. They’re rapists” — then Kanye’s notoriously big mouth doesn’t seem so out of place, does it? I hate the way they portray us in the media. You see a black family, it says, ‘They’re looting.’ You see a white family, it says, ‘They’re looking for food.’ And, you know, it’s been five days [waiting for federal help] because most of the people are black . . . with the way America is set up to help the poor, the black people, the less well-off, as slow as possible. I mean, the Red Cross is doing everything they can. We already realize a lot of people that could help are at war right now, fighting another way — and they’ve given them permission to go down and shoot us. The contradiction is, I do fight for artists, but in that fight I somehow was disrespectful of artists. I didn’t know how to say the right thing, the perfect thing. You know how many times MTV ran that footage again? ’Cause it got them more ratings? You know how many times they announced Taylor was going to give me the award ’cause it got them more ratings? 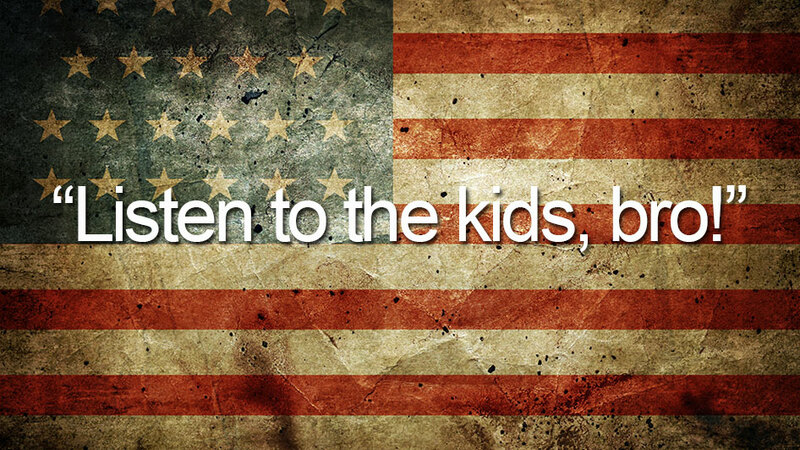 Listen to the kids, bro! I still don’t understand awards shows. I don’t understand how they get five people who worked their entire life … sold records, sold concert tickets to come stand on the carpet and for the first time in they life be judged on the chopping block and have the opportunity to be considered a loser! I don’t understand it, bruh! I will die for the art! For what I believe in. And the art ain’t always gonna be polite! 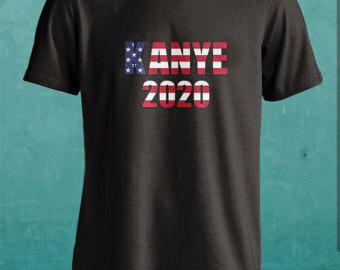 In the aftermath of the moment, #Kanye2020 has exploded in popularity, inspiring a raft of consumer-generated art, merchandise (which hit Etsy within 24 hours of the announcement) and an ongoing conversation. Chelsea Clinton said his announcement is “awesome,” and generally the entire Internet has had fun playing along. For one 24-hour period, Kanye West was out-trending Donald Trump and Hillary Clinton (according to Google Trends) before settling down to a level below Trump and above Clinton for the next several days. Osman Faruqi of The Guardian has gone so far as to seriously speculate why Kanye West would be a good president. 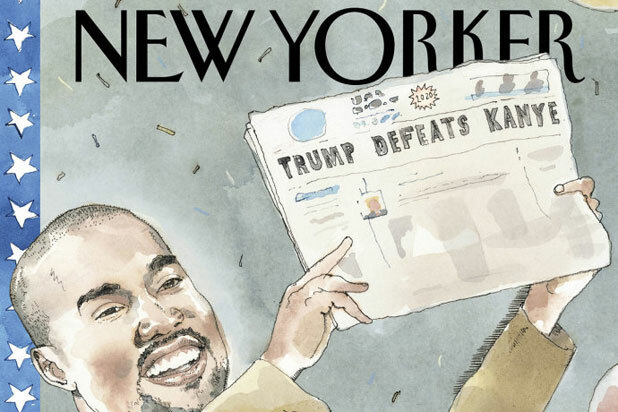 But even more importantly, the media coverage of #Kanye2020, which has put Kanye West on a platform alongside Donald Trump, forces you to ask: why is the white guy with the big mouth a real presidential contender gaining in polls, whereas the black guy with the big mouth is, at best, a farce? 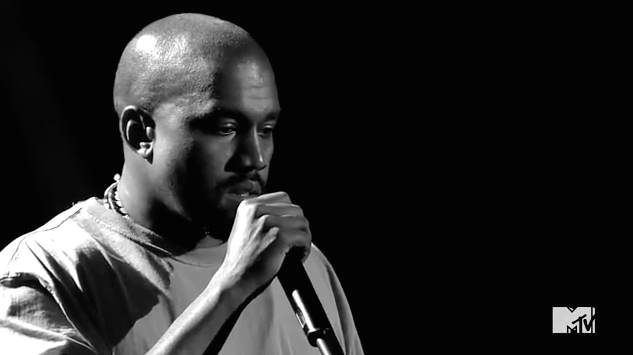 When Kanye disrespects Taylor Swift or Beck on TV, he is scorned. When Donald Trump makes disparaging remarks about women, insults Mexican immigrants, and kicks people out of press conferences, his popularity seems to rise. If Kanye were white, might he be treated seriously as a real candidate as Trump is? If Trump were black, where would he be in the polls? But #Kanye2020 isn’t about Kanye West occupying the Oval office. It’s about what Kanye does best: creating the moment. And he just topped himself by raising uncomfortable questions about himself and a presidential candidate. This entry was posted in Celebrities and tagged #Kanye2020, David Deal, Donald Trump, Kanye, Kanye West, MTV, Superhype, Taylor Swift. Bookmark the permalink.